Your Punta Gorda, Port Charlotte, North Port Realtor®. 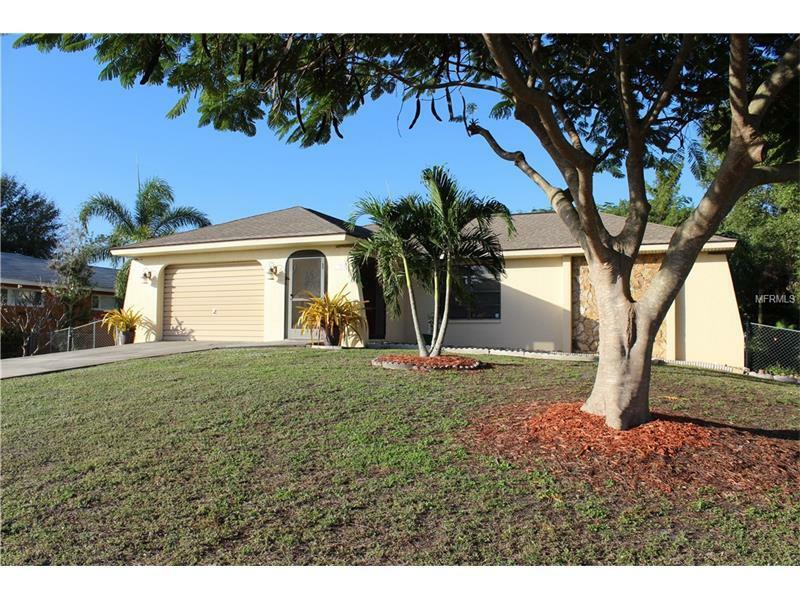 Clean and move in ready, 2 Bedroom 2 Bathroom 1 Car Garage home in Punta Gorda, FL. Beautiful mature tropical landscaping surround this home. Fantastic location, close to everything including library, shopping, dining, fitness, boating, bike trails and all that SWFL has to offer. Only 1 mile to the heart of downtown Punta Gorda. Updated electrical in November 2015. Connected to city sewer in 2013. New water heater in 2011. Oversized one car garage has washer and dryer, side entry and a ramp into home. Includes a one year home protection plan at closing. Total Acreage: Up to 10889 Sq. Ft. Copyright © 2019 Mid Florida MLS. All rights reserved. The data relating to real estate for sale on this web site comes in part from the Internet Data Exchange Program of Mid Florida MLS. Information provided is for consumer's personal, non-commercial use and may not be used for any purpose other than to identify prospective properties consumers may be interested in purchasing. participates in the MFRMLS Internet Data Exchange (IDX) program, allowing display of other MFRMLS broker's listings on this site. However may not include all listings currently available. Information is deemed reliable but not guaranteed. Information last updated at 2019-04-22 05:29:01.